You know I love DIY projects and renovations. Today, I want to talk a little about remodeling the bathroom. One thing DIY projects allow you to do is to transform an old piece of furniture into something new. That’s the magic and beauty of DIY projects. I want to stress the importance of the bathroom, as it is the room where we maintain our hygiene. That being said, getting a new look for the bathroom is cheaper than you might think. Now, I know you won’t use all of the projects I list here. However, I am fairly certain that you can find something you can use. 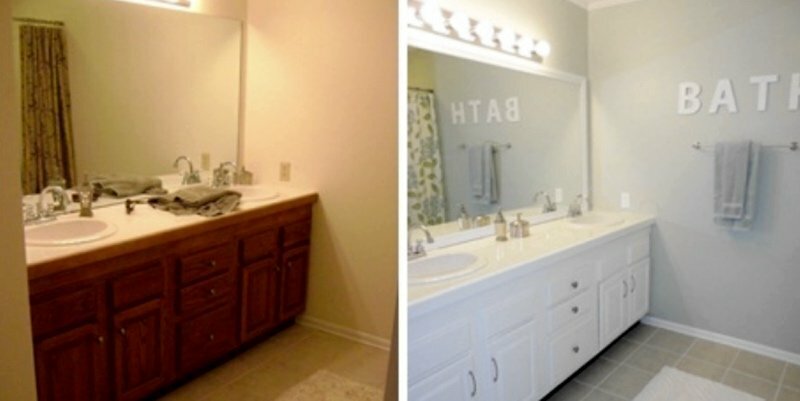 Or at least that can inspire you to try and remodel your bathroom.